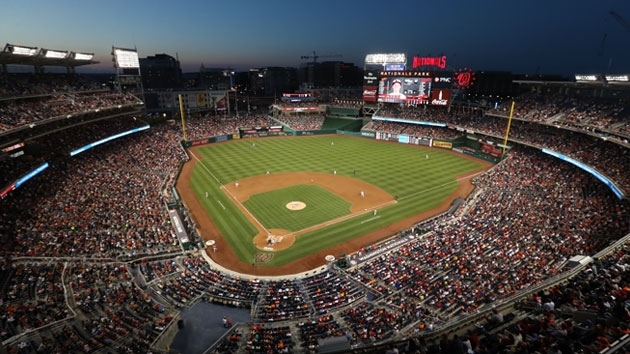 Major League Baseball has high hopes that the Ballpark App is going to become a key piece to the in-game experience for fans at every ballpark. 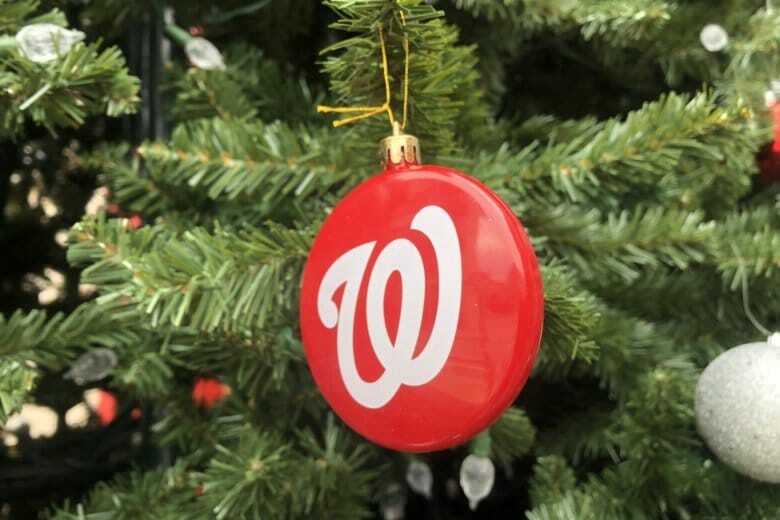 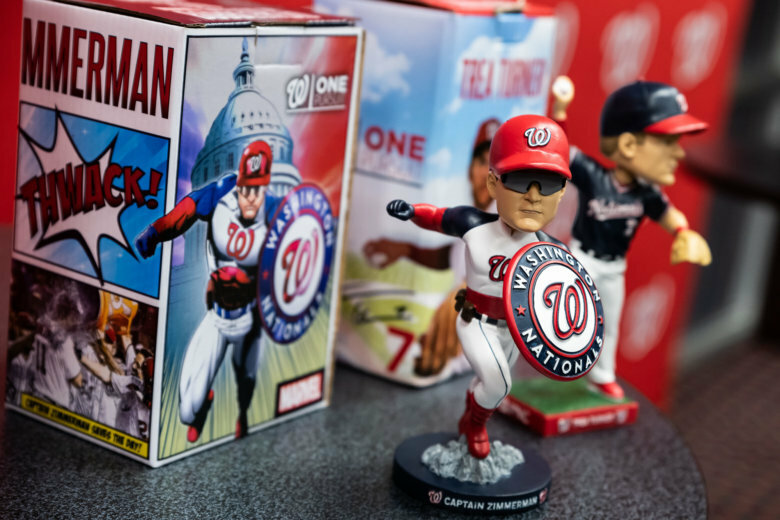 But the experience in D.C. is being tailored specifically to Nats fans with interactive features that can lead to big prizes. 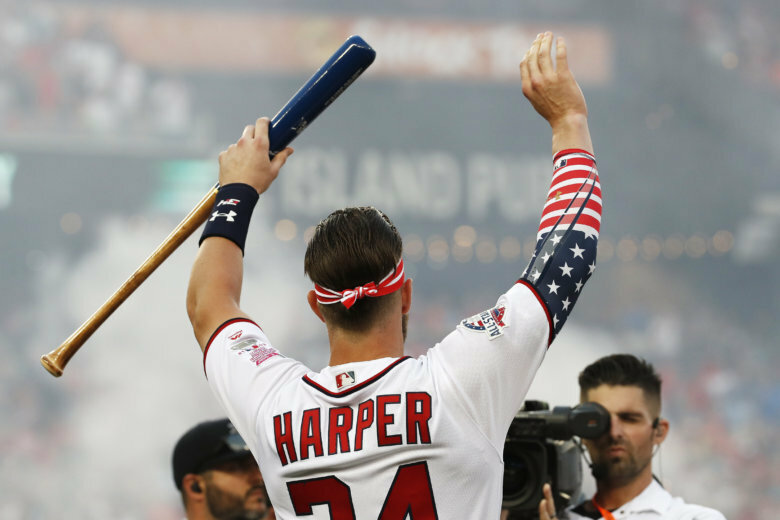 The Washington Nationals open the 2019 season Thursday at home against the New York Mets at 1:05 p.m. Here’s everything you need to get you ready for baseball. 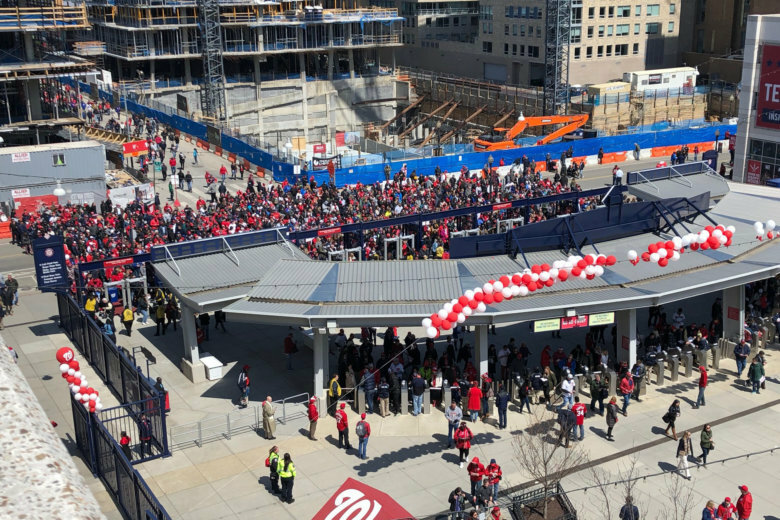 Two weeks before a new policy banning backpacks goes into effect at Nationals Park, the team says it plans to provide hundreds of portable storage lockers at the ballpark where large bags can be stored — for a fee. 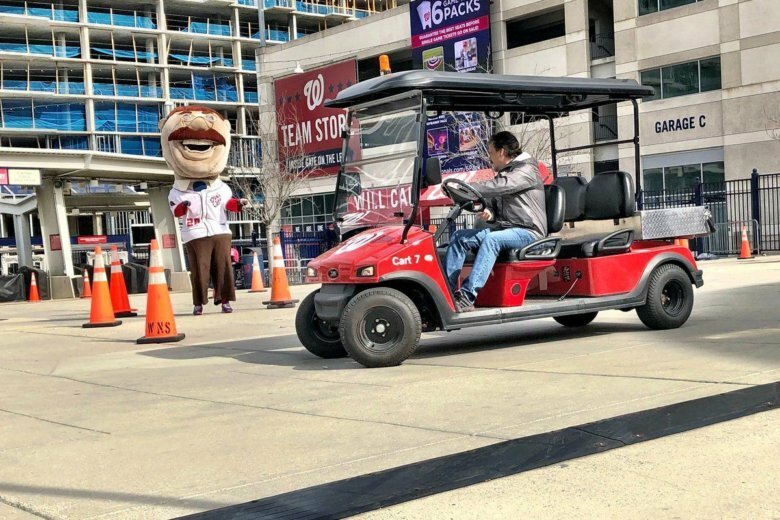 An obstacle course was part of the audition process for would-be bullpen cart drivers at Nationals Park. See video. 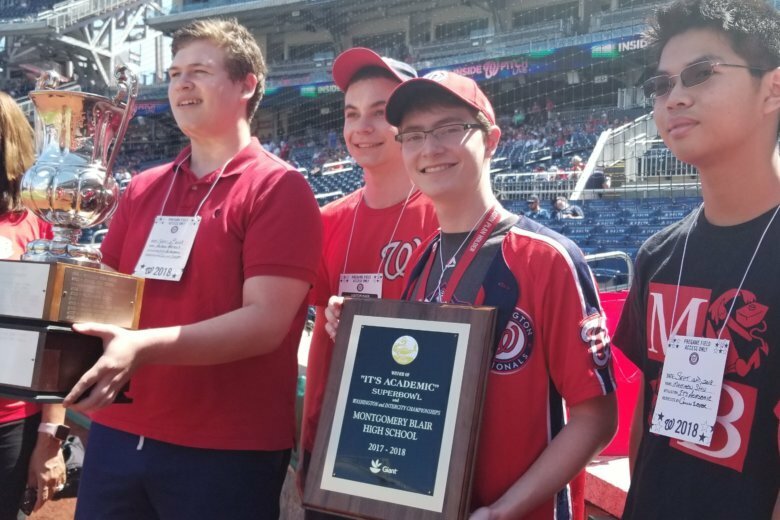 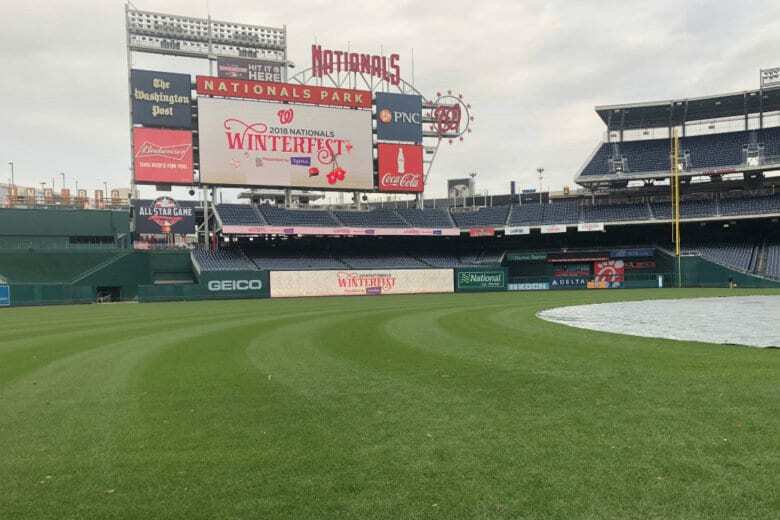 Whether it’s to challenge a Racing President or to take a few swings in the batting cages where the players warm up, Washington Nationals fans have a lot to do this weekend. 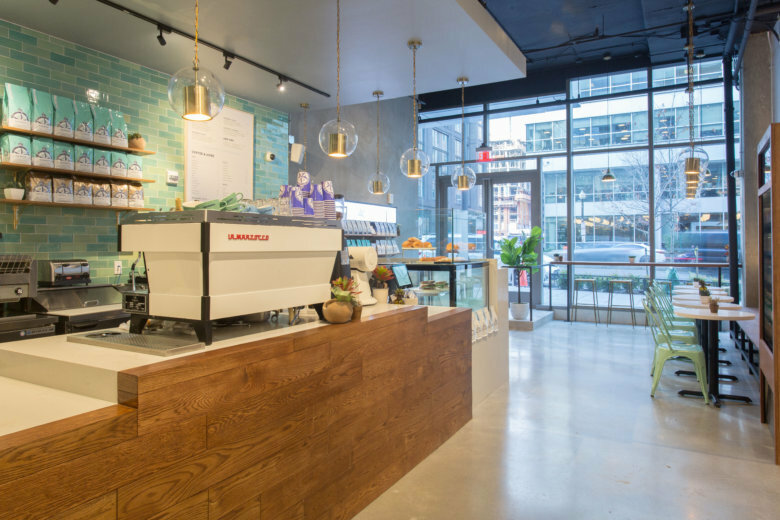 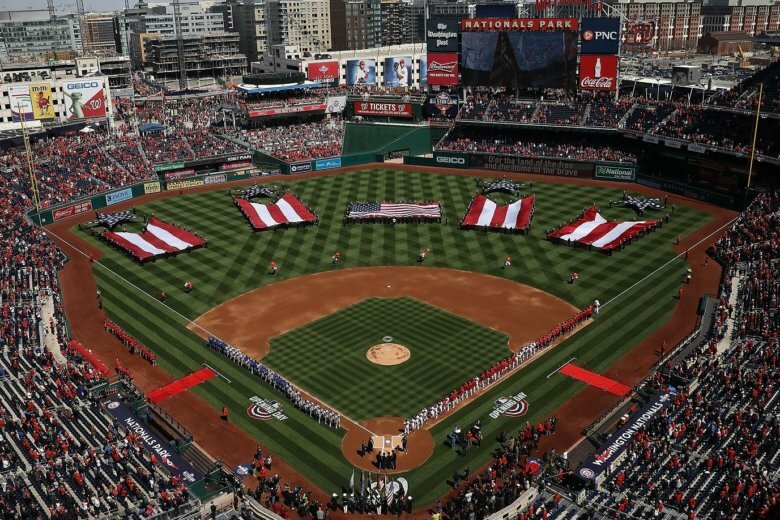 See photos of Nationals Park ahead of this year’s Winterfest. 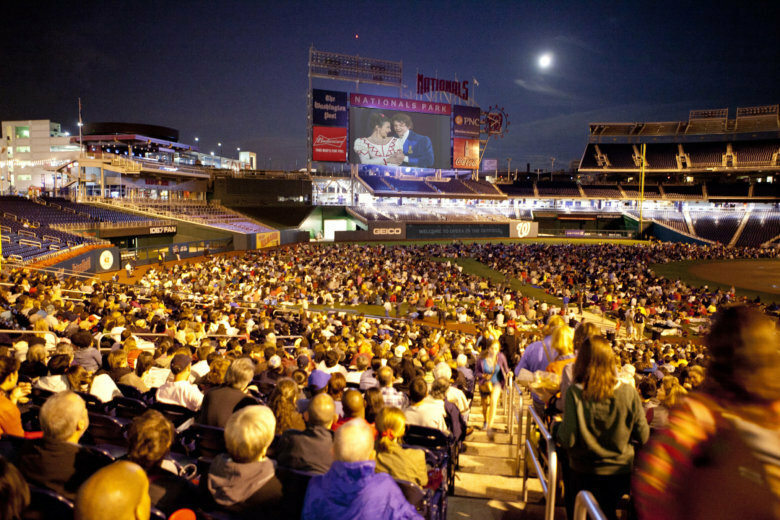 The Washington National Opera presents “The Barber of Seville” on the Jumbotron at Nationals Park on Saturday. 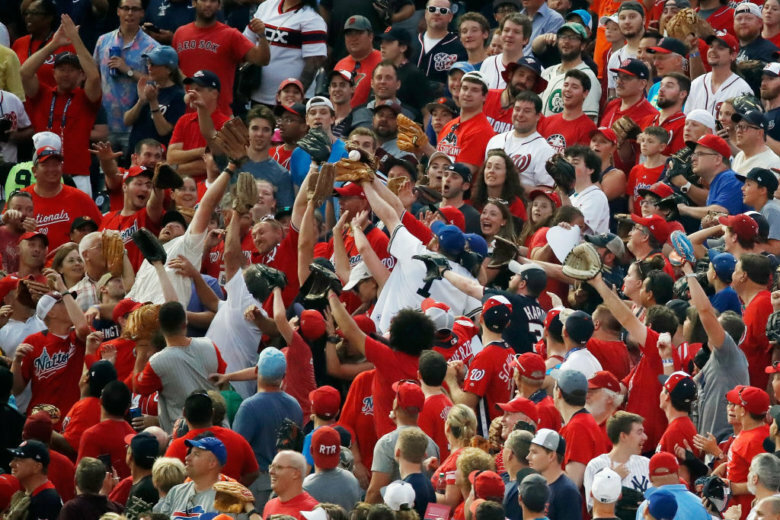 A host of traffic changes are in place for Tuesday night’s MLB All-Star Game. 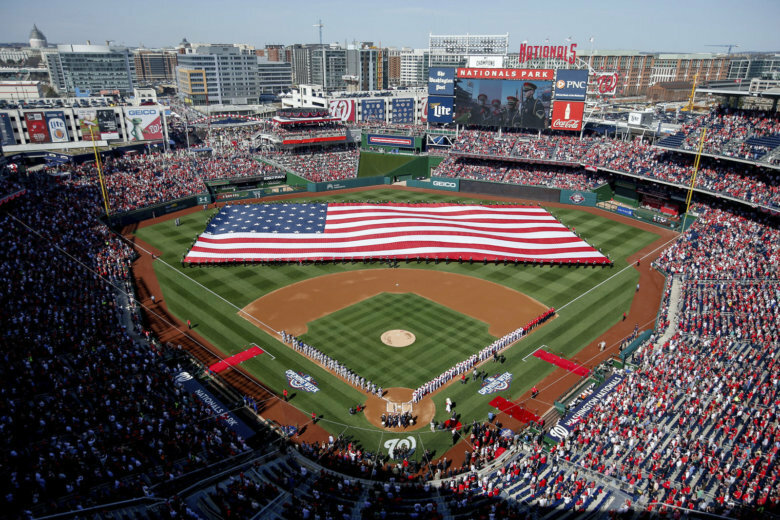 They include road closures, new parking restrictions and transit modifications.